The recent events between Canada and China have been most unfortunate involving the detention, and later bail, of Meng Wanzhou, CFO of Huawei. As a Canadian and long-standing friend of the Chinese people, I for one am personally shocked and appalled by this! The situation developed at the request of the United States, which activated the Extradition Treaty signed between our two countries. Since establishing diplomatic relations on October 13, 1970, Canada enjoyed wonderful relations with China, strengthened by the many people-to-people links. Like any relationship there are, from time to time, misunderstandings. I think it is important to point out that Canada, as per the Extradition Treaty, had no choice but to detain Meng. The problem though lies in the fact that the United States deliberately misused the Treaty for political rather than judicial reasons. The Treaty was intended to facilitate the exchange of individuals who broke the law in either country. It was not intended to be used for political reasons. It is my belief that Meng was unfairly detained and should be released and allowed to return to China at once! I used to work in the House of Commons for a Member of Parliament and also worked on political campaigns; one that saw The Right Honorable Kim Campbell elected the first female prime minister of Canada. Therefore, I understand how Canadian politics works, and to me this situation smacks of political skullduggery. Unfortunately, Meng and Canada find themselves in very unfair circumstances as Donald Trump plays his games and thinks he could maybe help Meng if he gets the trade deal he wants with China. I want my Chinese friends to know that caring Canadians are shocked by Trump's announcement. China needs to know that many Canadians stand with it. We're also being held hostage in this situation. Based on Trump's own words, I believe it is high time that Canada should stand up and be counted! The government should introduce immediate legislation in the House of Commons to abolish the Extradition Treaty with the United States. The legislation should be rushed through the House with first, second and third reading happening very quickly and then sent to the Senate for royal assent. Once this process is complete, Meng and Canada should receive an apology from the United States for their flagrant mistreatment of the Huawei executive and for using Ottawa as a pawn in a political game. In my view, the United States does not want to see China grow and develop in areas that they perceive to be security threats. It seems that security threats in the US come in all forms and even include Canadian aluminum and steel. Trump's behavior would be laughable if it were not so sad. The other reason that Canada should scrap the Extradition Treaty is that we should only be extraditing individuals to countries that share Canadian standards of due process. Some could argue that the rule of law does not exist in the United States as their prosecutors and lawyers conduct themselves in ways that would have them barred in Canada. When Meng is safely back in China, it is my hope that Canada and China can continue to develop their relationship. I lived in China for 16 years as a businessman during the exciting years of the late 1990s through the Hong Kong and Macao handovers, the build-up to and excitement of the 2008 Olympics, and the riveting Shanghai Expo and Guangzhou Asian Games of 2010. I continue to come back to China regularly for business. I could not have done so well were it not for the warm and wonderful Chinese people helping and inspiring me. I have a profound respect for the Chinese and their culture. I watched over the years as many of my Chinese friends' lives improved tremendously, due to the wise reforms of their government. I can only imagine how difficult it must be to govern such a large country but applaud the progress made by the Chinese leaders and citizens. I don't want to see this issue affect our relations but hope that it will make us even closer partners. 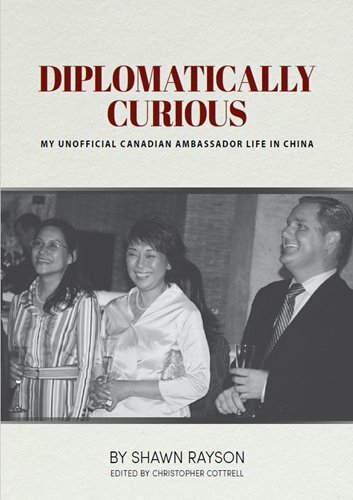 I am just about to release my new book Diplomatically Curious - My Unofficial Canadian Ambassador Life in China. The book depicts my 16 years in China, which were fascinating and filled with many fond memories. It also encourages young Canadians to venture out and become entrepreneurs in China. 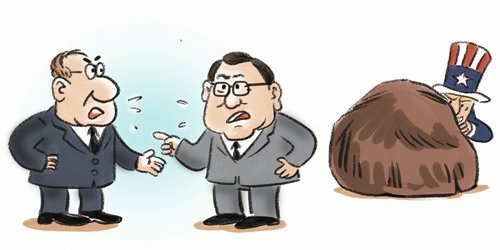 I think it is important for Canada not to get sucked into turmoil that might arise in the Trump and post-Trump era in the US against China and its development. Canada must choose its own path forward and not rely solely on the United States. We have come to learn during the past two years that we can no longer count on the support of the United States. We can and must identify new trading partners and China is an excellent choice. I even think that Canada should allow China's Huawei to invest in 5G technology and that the offer by a Chinese company to buy Aecon Group should have been approved. I remain confident that the many years of peace and diplomacy between China and Canada will allow us to find common ground and move forward during exigencies like this. This is a moment for Canadians to be reflective and to become diplomatically curious about the incredible opportunities to be had and made in China right now.